Short and quick this time. Parents were coming down this weekend for my daughters graduation party so that meant one thing, time for Dad and I to go walleye fishing. Since the Roar on the River boat races were going on this weekend we decided to get an early start. 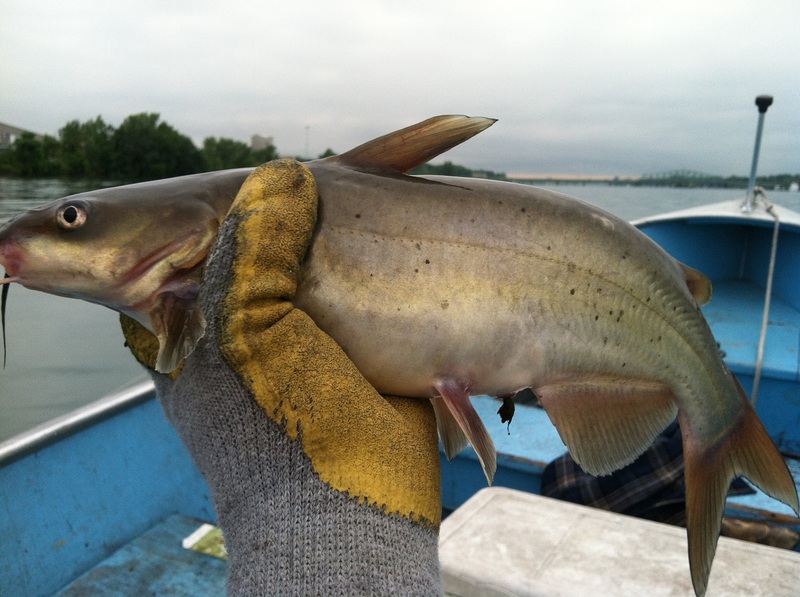 By 6:00 am we were on the river with overcast skies, clear water, no weeds and a light west wind. Almost perfect conditions. We set lines and started our first pass by the catamaran. I was running a custom #9 SSVII rapala and a couple of spoons. I don’t remember what kind because I didn’t catch a single walleye on a spoon. My Dad, on the other hand, caught all of his fish on a Riley Special spoon (my suggestion). 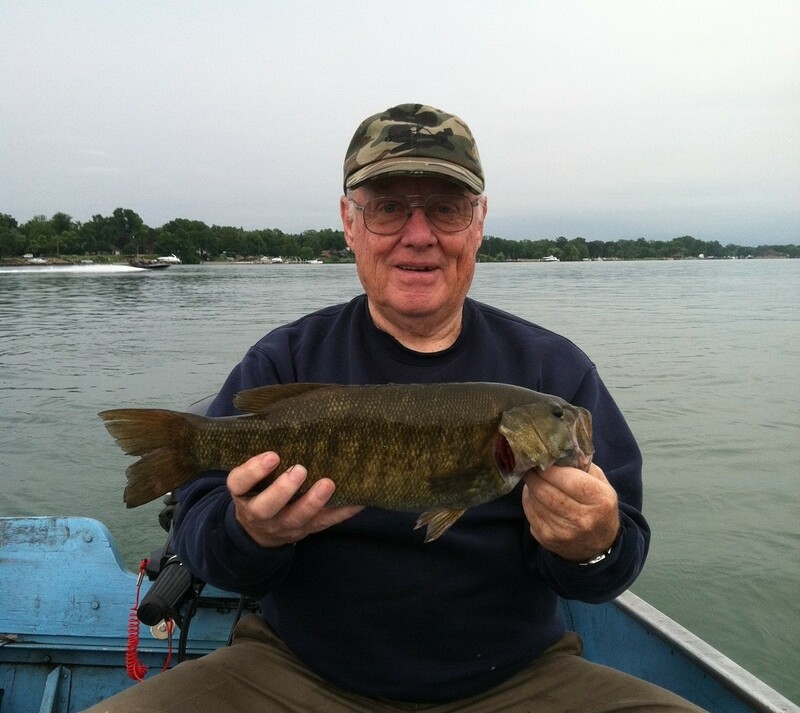 We also caught a lot of smallmouth bass, I mean A LOT of smallmouth bass. 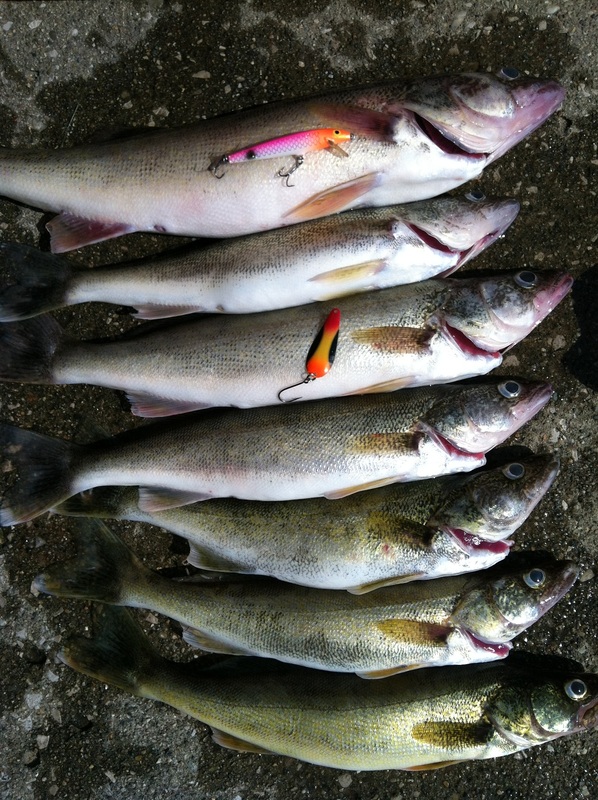 We averaged 3 to 4 bass per every walleye we caught and they ranged in size from 5 to 19 1/2 inches in length. Most of them were legal size and they seemed to be everywhere and grabbed everything we had out there. At one time I had a double of two 16 inch fish that was quite a handful, a handful I didn’t want to deal with. The last one of the day turned out to be the biggest and also the most entertaining. Just as I was about to lift her into the boat a bass boat was buzzing by us at high speed. I waited until they were right along side and I lifted her out of the water. That brought them to a screeching halt. We ended the day with 7 walleye and 1 throwback. Not a bad haul but I would have preferred to not have to deal with all the bass. I quit counting after the first hour but we caught them from beginning to end. At least they weren’t as numerous as those “other” bass. One other little tidbit. I pulled a dead goby out of one of the walleye, size #9, take note everyone. Thanks, nice to be able to catch a few during the day with the water being so clear. I’ll be back at the night excursions very soon though, less bass after dark. 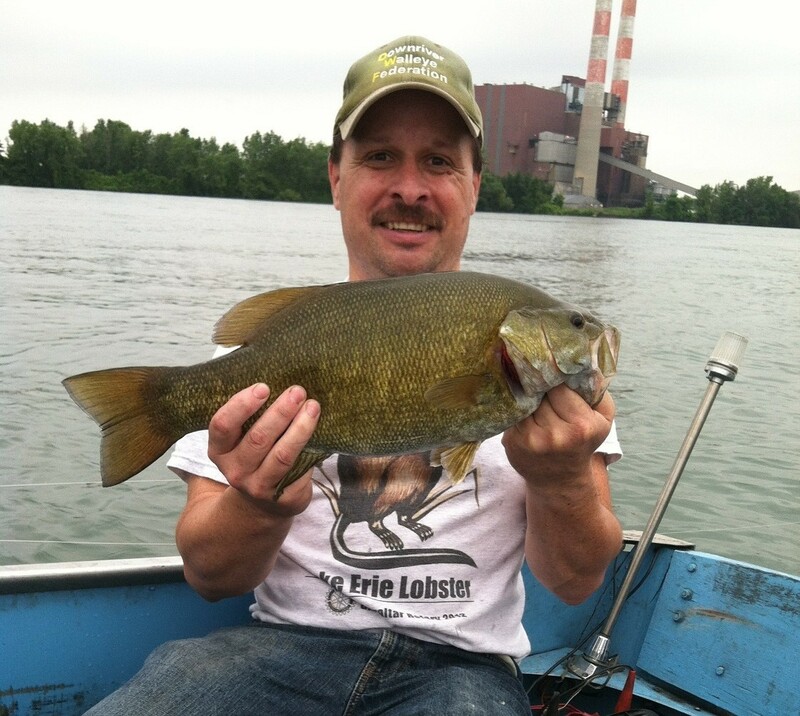 Yeah the Smallmouth fishing from Lake St, Clair down to Erie is World Class and I’m NOT trying to catch them. Wonder how I would do if I actually targeted them?